The ISSF had its beginnings in 1907 in Switzerland. Over the years it has had several name changes and in 1992 finally became known as the International Shooting Sport Federation. It is the only organisation recognised by the International Olympic Committee as being responsible for all amateur international shooting competitions. There are a range of matches with something to suit everyone, from precision to rapid fire. 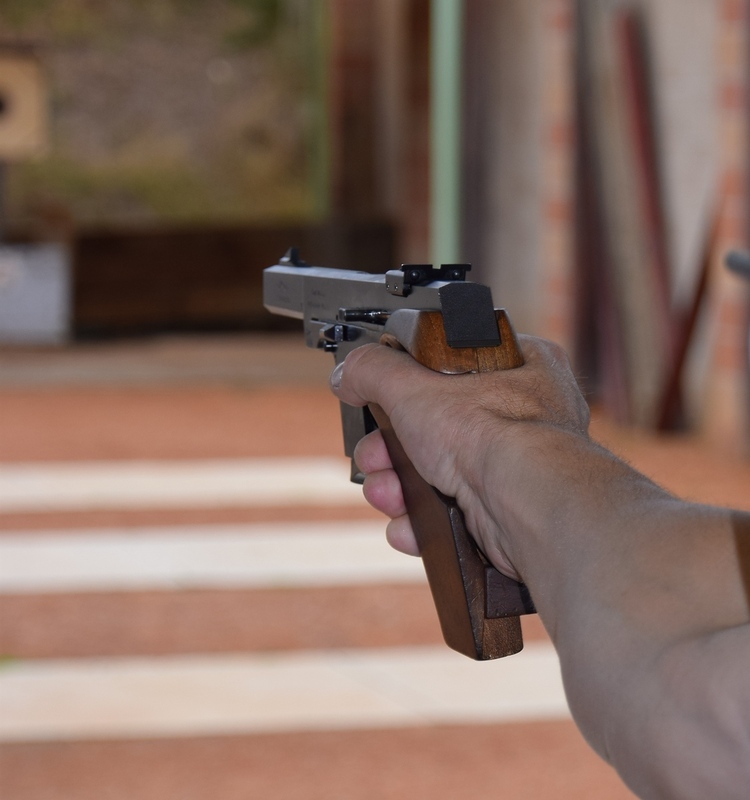 All ISSF matches can be shot by men and women, because unlike many sports, physique and strength are not an issue, so everyone competes equally. 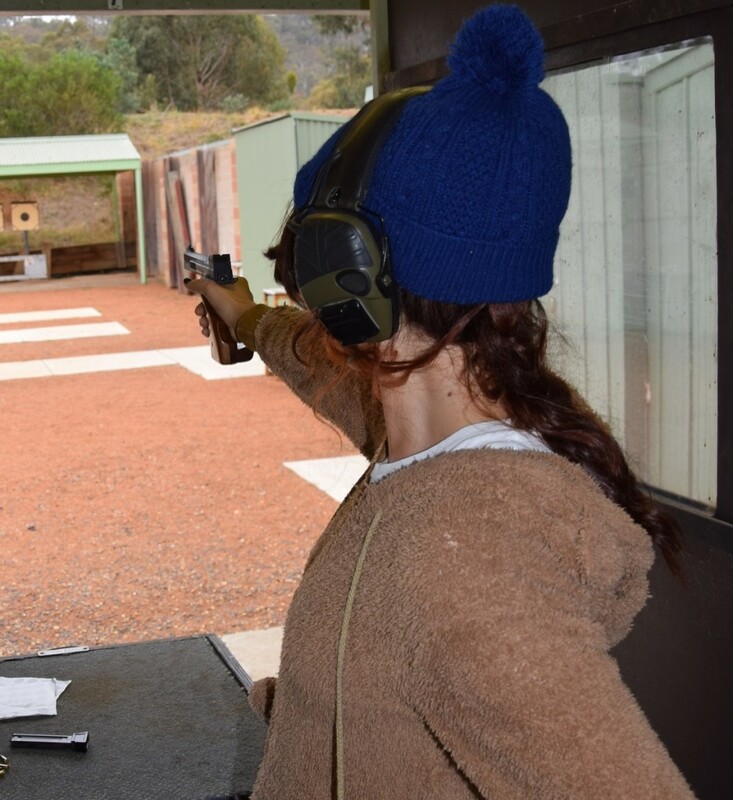 A grading system is used, so if competing in competitions you will be competing against people of equal ability, and as with all shooting disciplines, safety is paramount at all times. 25m Standard Pistol: 3 stages of 20 shots with decreasing times, using a .22LR semi-auto pistol or revolver. 25m Pistol: (Originally known as Sport Pistol) 30 shots in a precision section, 30 shots in a rapid fire section, using a .22LR semi-auto pistol or revolver. 25m Centre Fire Pistol: This match is identical to the 25m Pistol match, except that the pistols and revolvers fire larger, more powerful .32 to .38 calibre centre fire cartridges. Both matches are usually shot on the same range at the same time. 25m Rapid Fire Pistol: Shot in 2 stages of 30 shots, fired at 5 separate targets, in decreasing times of 8/6/4 seconds. A .22LR semi-auto pistol is used. 10m Air Pistol: 60 shots for men, 40 for women, using a .177 air pistol. Shot indoors at 10 metres. 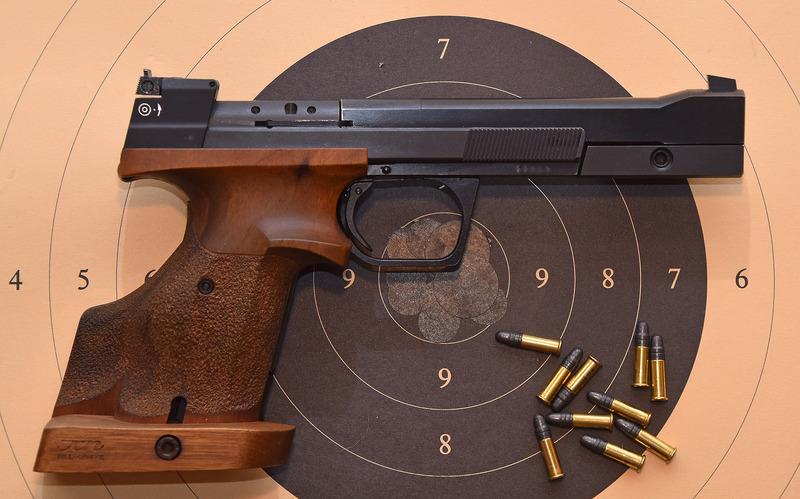 50m Pistol: (Originally known as Free Pistol) 60 shots, using a .22LR single shot pistol. This is shot at the greater distance of 50 metres. Are there other matches shot in this Section? We have matches that are tailored to senior members. These matches are shot over half the distance, and with half as many shots. There is also a Black Powder Match and a modified 25yd Service Match. All of these matches are very popular. 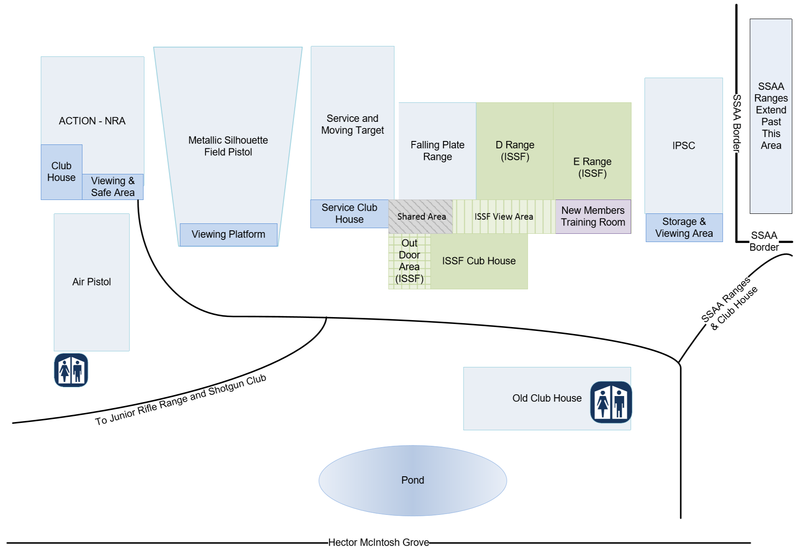 What facilities does the ISSF Section offer its members? The ISSF club room consist of a pleasant seating area, with a fully equipped kitchen and an outdoor coffee area. Our members are from backgrounds ranging from professional and business people, families with young children, early teens through to seniors. For families with young children there is a separate playroom with TV/DVD and games. It’s your choice how seriously you want to compete. It can be at Club, State, National or International level, or you can simply shoot for fun. In most ISSF matches .22LR pistols or revolvers are used, which use relatively cheap rimfire ammunition that doesn’t require reloading. We are a family friendly, supportive section and welcome new shooters and enquiries. So phone or come along and have a chat with our friendly co-ordinators, and see what our ISSF Section has to offer. ISSF is a great section for new comers, with pistols such as .22LR and Centre Fire semi automatics and revolvers and Air Pistols. 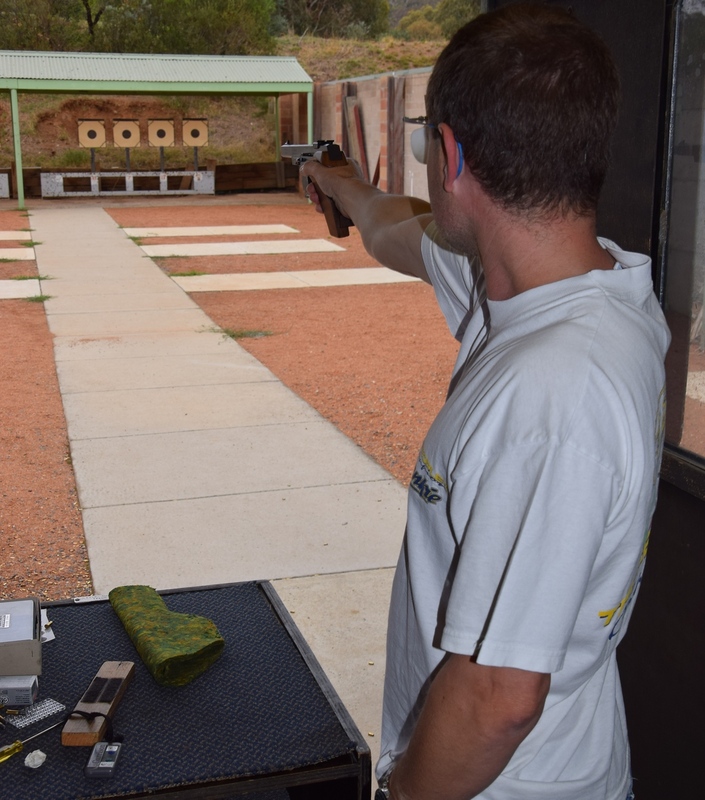 Find Ranges D & E.
Matches start at 7am, 8am and 9am every Wednesday on Ranges D & E.
Wayne Smith - Every 1st & 3rd Saturday 9am on Range E.
David Webb - Every Tuesday (except Public Holidays) from 4:30pm - 6:30pm, in the Air Pistol Shed.